I was out for lunch with my team during the Holiday season. As part of the private menu, there were two dessert choices - Tiramisu and Panna Cotta. While Tiramisu is the universally known picker upper dessert from Italy, I have always been partial to its lesser known country cousin, Panna Cotta. Its fresh taste and minimal processing have been some of its selling points for me. The Panna Cotta I had that day was made from ricotta cheese which was a pleasant surprise for me as I am used to panna cottas made from condensed milk or heavy cream. Today, I wanted to try my hand at ricotta cheese panna cotta. Also, after a month-long indulgence in diabetic-inducing desserts during the holiday season, I have tried to incorporate some veggies in this dessert in an attempt to add fiber and to silence my conscience. Soak agar agar in water for 10 minutes. Peel and quarter the carrot and beetroot . Pressure cook the carrot and beet separately, each with 1/2 cup of milk. This helps remove the earthy smell from these vegetables. When cool, mash the cooked veggies and if needed, pass these through a sieve. In a heavy bottomed pan, bring 1/2 cup of milk to a boil. Add in ricotta cheese and sugar. With a wooden spoon, break the cheese and keep stirring until incorporated. Let this simmer on very low heat. Strain and add the agar agar water to the cheese mixture. Bring to a boil and cook for 10 minutes, stirring. This step is very important. 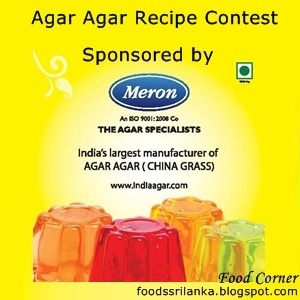 If you stop before the agar has full dissolved, the dish will never set. Divide this mixture into 3. Add the mashed carrots to 1 portion and the mashed beetroot to 1 portion. Add vanilla essence to the remaining portion. Now depending on how you like it, either mold these as individual servings, as layer 'em on. Let set at room temperature or in the refrigerator. Unmold to a plate and serve. I tried different presentation techniques with this. 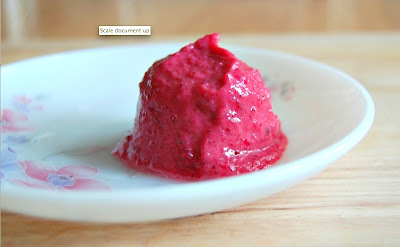 I molded the carrot flavored panna cotta and scooped the beet flavored one. Which one do you prefer? 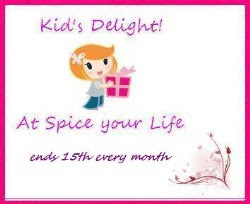 Spice Your Life's at Veg Nation, Cook's Joy, Preeti's Kitchen Life, Flavors of Italy hosted at Divya's Culinary Journey for simply.food. this looks delicios...and nice colour with carrot & beet. Thank you for sending it to the contest.Good Luck with your entry!! Looks interesting and thx for linking to the event. ONGOING EVENT- "Foodabuous Fest: January Series"